Konnichiwa! 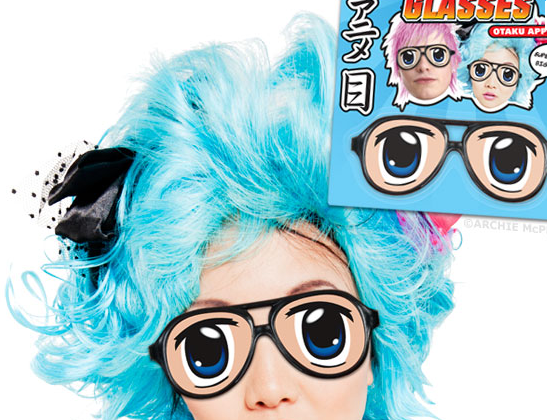 These glasses are perfect for fans, or even otaku, of Japanese animation. 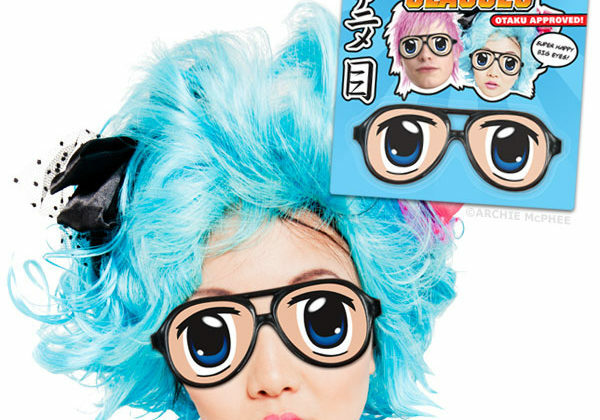 Slipping these on allows you to mimic the large eyes of anime characters whether you’re doing cosplay at Otakon or just talking to a fellow fan of Akira via Skype. Buy a bunch and you and your friends can act out your own anime and post it on the internet. Illustrated blistercard.